In the last decade, we have seen a great rise in property in Penang as the state becoming a residential property investment hotspot. Over the last few years, there have been a big increase in the population of Penang, the second smallest state in Malaysia. Currently, the state is known for various industries, with its main focus on tourism and manufacturing. All these had allowed Penang to become a tourist hotspot, along with creating job opportunities for locals and even expatriates. Penang is known as one of the most popular destinations when it comes to manufacturing investment projects, as it is constantly on the rise as a popular destination for locals and tourists. In the last ten years, we have seen a great rise in FDI which is expected to grow in a steady pace in these few years. The new housing development in Penang started some 40 years ago (when the state started attracting multinational companies) and is now home to some of the leading multinational corporations around the world. In addition, tourism is a major contributing factor when it comes to Penang’s growing economy. Families, couples, and single tourists are finally seeing the charm the state has to offer besides finding it to be an affordable oasis far from the overcrowded capital. These people see a great chance to enjoy a great life in Penang, without having to deal with constant rush. All the above have impacted Penang property development scene and property investment market as more people are looking to buy a vacation home to live in or to rent out. As the state offers a mixture of hilltops, beachsides, and heritage all in one, it has something to offer to everyone, giving visitors a complete living experience. With Penang’s dynamic market, investors or potential homeowners are sure to find a place that can check all their must-haves. 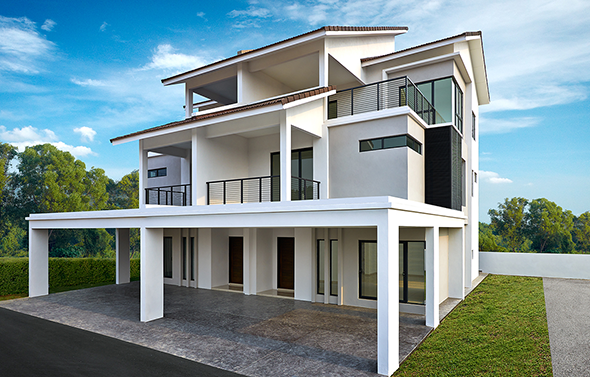 Furthermore, as the global economy is constantly changing, it has affected the Penang residential property market in ways that are at times difficult to understand. Despite these challenges, Malaysia’s economy is still adapting to the sudden changes and makes for a great investment opportunity as it allows buyers a chance to place their money where they can see a return on their investment. When it comes to investment, the only thing you are mainly focused on is location as the location of your investment is always one of the main factors that will contribute towards your return on investment. This is the reason why you need to make a purchase in a place that offers good reputation, with it prices already on the rise, or is expected to rise in the coming years. Only when you buy your Penang residential property based on future returns, will you be able to make a proper investment you can cash in. Penang has been on the rise for some time now, and the state offers endless opportunities when it comes to growth. With an active market and tourism on the rise, you simply cannot go wrong. The fact that the state of Penang is constantly bringing in new opportunities, and building construction that makes the state more appealing and easily accessible makes it easier for local and international investors to see the potential the place has to offer. As this charming state has a great deal to offer, if you are in the market for an investment, Penang property development definitely offers a stable and constant rise in value, prices and opportunities, making new housing development in Penang a fruitful investment.